The average shelf-life of a skill today has shrunk to five years, so organizations that aren't constantly learning will fall behind. The biggest reason people leave a job is for career development, so if employees aren’t growing at an organization, turnover will likely be high. Yet CEOs – particular CEOs of public companies – are under extreme pressure to produce. So while they might want a robust L&D program, they need to be able to see it is producing real results. And, for L&D professionals, showing those results hasn’t been easy. Or so that’s what the stats show. When surveyed, CEOs said they most want to see business impact from their L&D teams, followed by ROI. 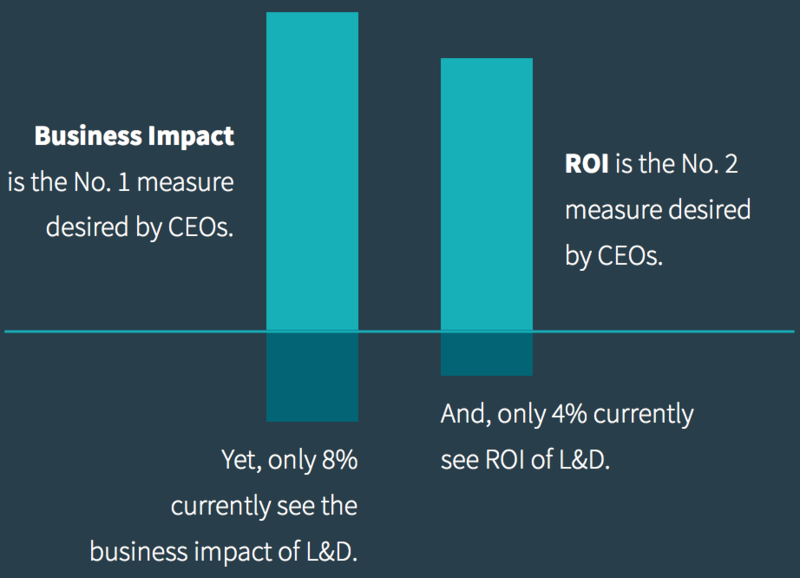 The problem is that only 8 percent of CEOs said they see business impact from their L&D program and only 4 percent said they see ROI from L&D. This is the issue for L&D teams. If you, as a department, aren’t giving the top decision-maker at your company – the CEO – what they are looking for, it's difficult to get funding. Three of the top four – a limited budget, having a small L&D team and demonstrating ROI – are directly related to not getting executive buy-in. Because L&D teams are having trouble demonstrating ROI and business impact to senior leadership, they aren't getting the budget or the people they need to accomplish what they want to accomplish. This isn’t a particularly easy problem to solve. 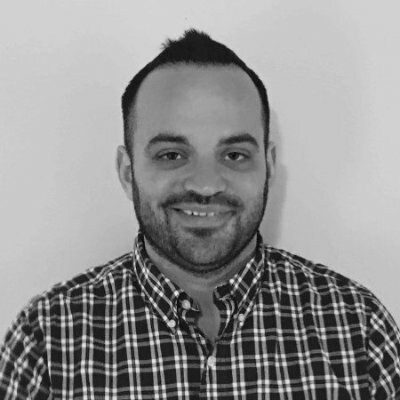 Ultimately, it comes down to somehow measuring how much an employee has learned while at your company – and, even beyond that, how much they learned specifically from your L&D program. That’s no easy feat. It’s difficult enough to measure performance, furthermore improvement on performance attributed to, say, taking a course. However, there are some steps L&D teams can take to start making that happen. We outline a more complete solution in our Workplace Learning Report, but ROI is dependent on tabulating the right metrics. The retention and promotion rate of people who use your voluntary learning programs, versus those who don’t. Hopefully, the people who use your learning programs advance within your organization. The effectiveness of your managers. The biggest reason companies invest in L&D is to improve their managers, according to our research. Hence, if you can show an improvement in manager effectiveness over time through employee surveys, particularly among managers who used your learning program, that’s huge. LinkedIn itself has done this to measure its “ManageIn” program. The amount of outside consultants you have to hire. Our research found smaller companies in particular invest in L&D to close skill gaps. To measure that, you can look at the amount of outside help your company needs to bring in to accomplish specific tasks, and hope to reduce it through workplace learning. Of course, the metrics you are measuring depend on what your L&D team is trying to accomplish. But the more compelling your metrics are, the better chance you have of giving your CEO what he or she most wants to see: business impact.